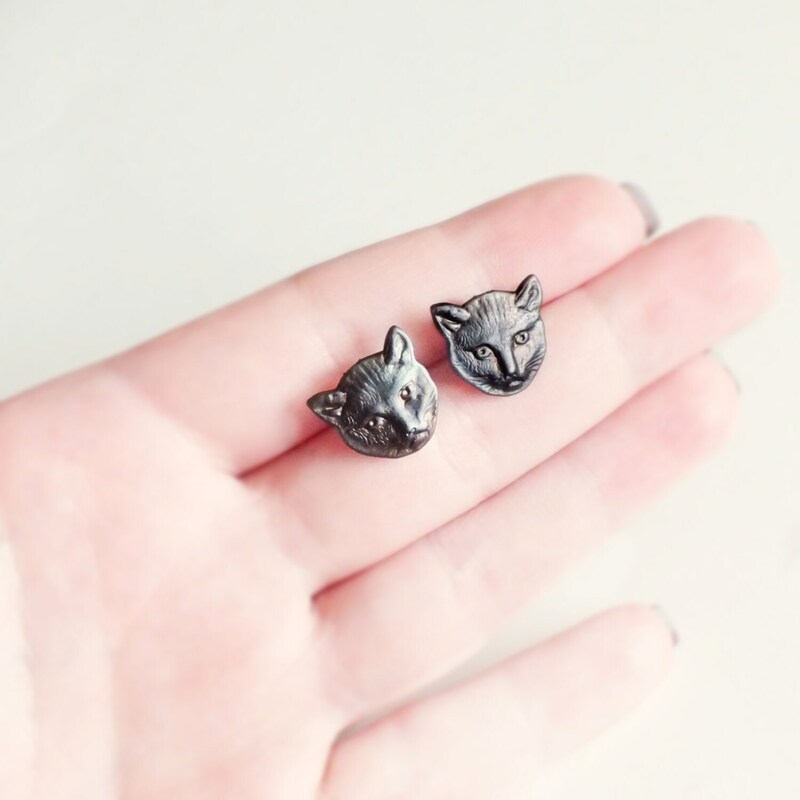 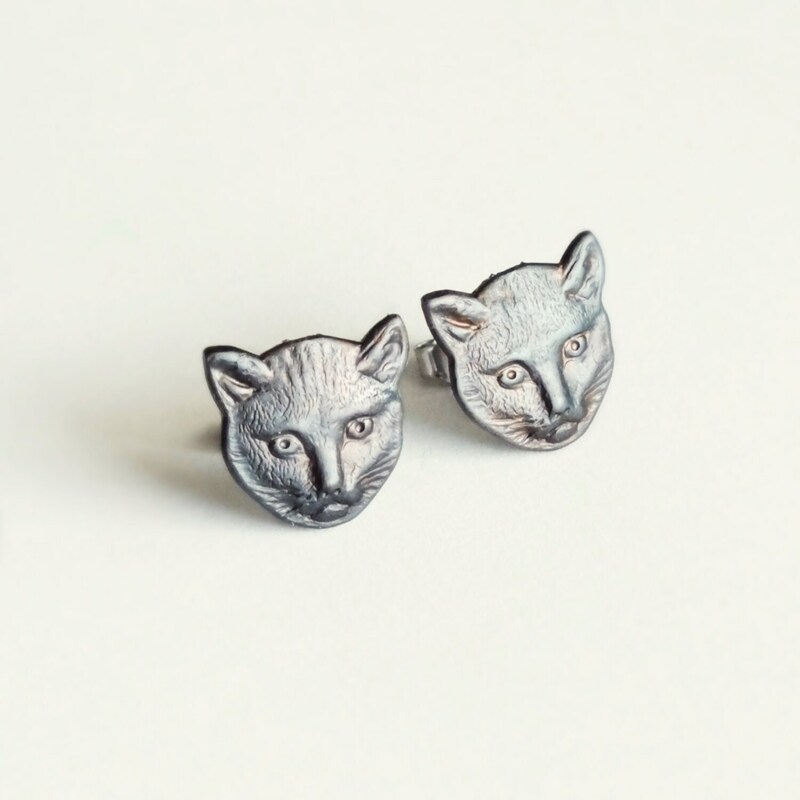 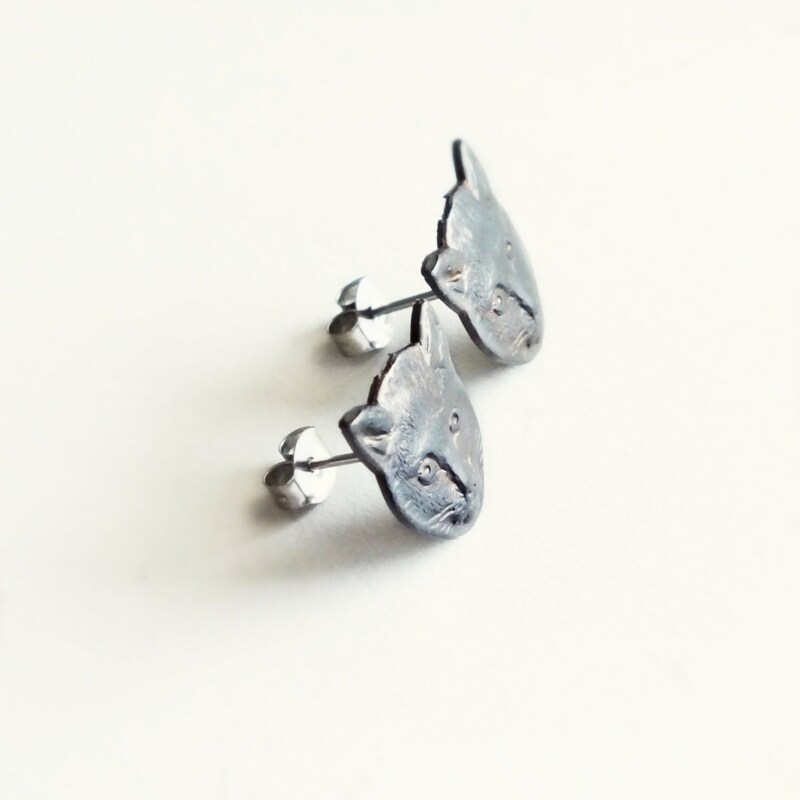 Handmade black cat earring studs made with oxidized brass cats. 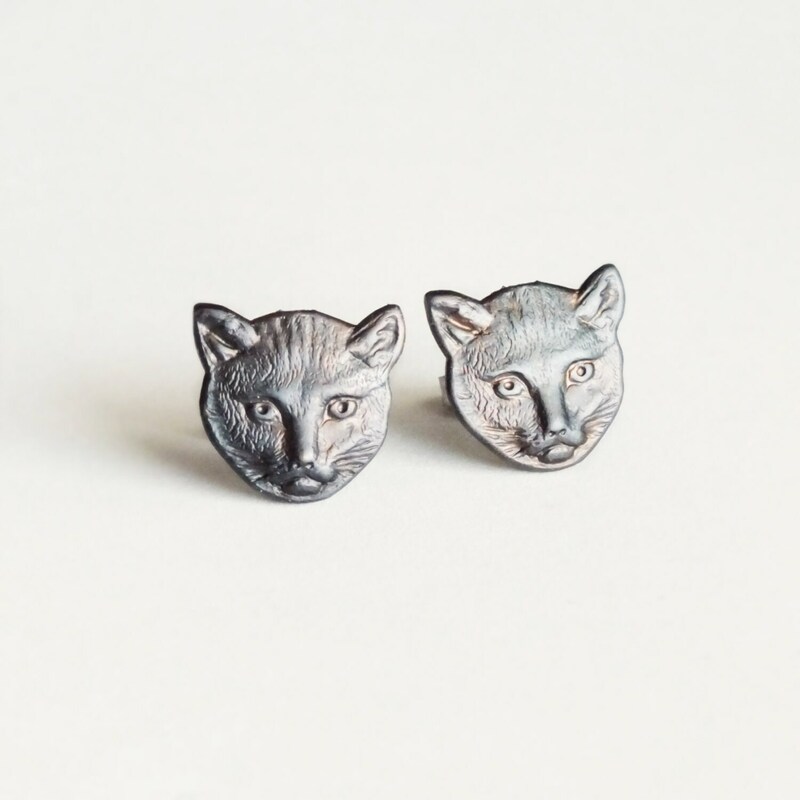 US made oxidized brass cats. 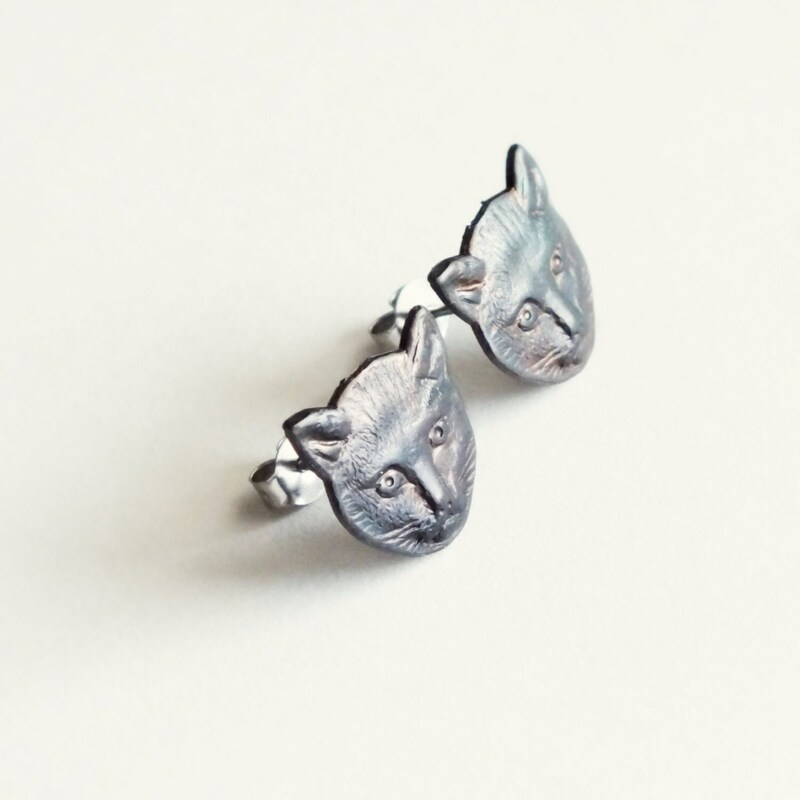 Made with beautifully detailed brass cat faces oxidized to a smoky matte almost black patina secured to hypoallergenic posts.